Size of Property : 1,407 sq.ft. About the property: The unit will be vacant on January 2019. However, viewing is possible with prior arrangement. The unit is on the lower floor with a built-up area of 1407 square feet. It is comprise of an en-suite bedroom, sturdy wardrobes, semi-closed equipped kitchen, open plan living and dining areas, guest toilet and balcony. About the building: Golden Mile is one of the visionary creations in Dubai, which combines with properties, shopping and leisure facilities. It comprises of 10 residential waterfront buildings offering apartments, townhouses, duplex penthouses overlooking the sea and the first park on the Trunk of the man-made island, Palm Jumeirah. Nearby: A Nakheel mall, Jumeirah Pointe are the upcoming shopping destinations in the vicinity. Currently, there are umpteen number of shops and eateries in Golden Mile and also a 3KM jogging track. Please call our specialist on 04-323-3609 for further details of the unit. The Residents and the Visitors of Palm Jumeirah gets huge facilities inside the area. They can fulfill their eating delights at the excellent cafes and restaurants located at the Island. They can also enjoy their time in the Swimming Pools, Pubs, Spas and Gymnasium. Some good aquariums and daytime water activities that include water sports like surfing and power boating are also there. There are Parks and Jogging Tracks also inbuilt, a vibrant nightlife can be enjoyed with many clubs and Bars located. 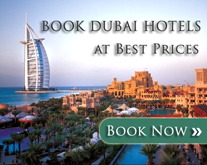 Visitors and Travelers can enjoy their time by staying at the world class hotels like Palm Jumeirah Dubai luxury hotel.